It's free and takes only 12 seconds. 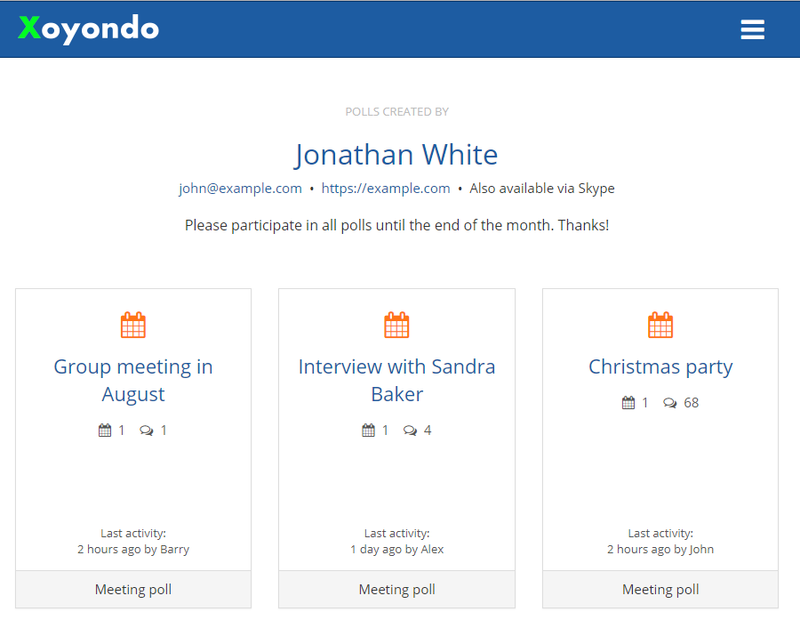 Manage all of your polls from one central location. Every poll that you create or participate in is automatically added to your private Dashboard so that you can keep track of updates easily. Create a personal public Xoyondo page with a URL of your choice. You can publish one or multiple polls on this page and only need to share one link with your participants that is easy to remember. As signed in user you have access to all of your polls instantly. Furthermore the voting (and vote editing) process is simpler. You also can subscribe to updates in your polls with a single click.